A low-cost method to remove fluoride from drinking water with specially made teabag-like pouches has been developed by a team of Indian researchers. The new method uses pouches covered with nanoparticles synthesized from organically-grown jojoba seeds to remove fluoride from water. 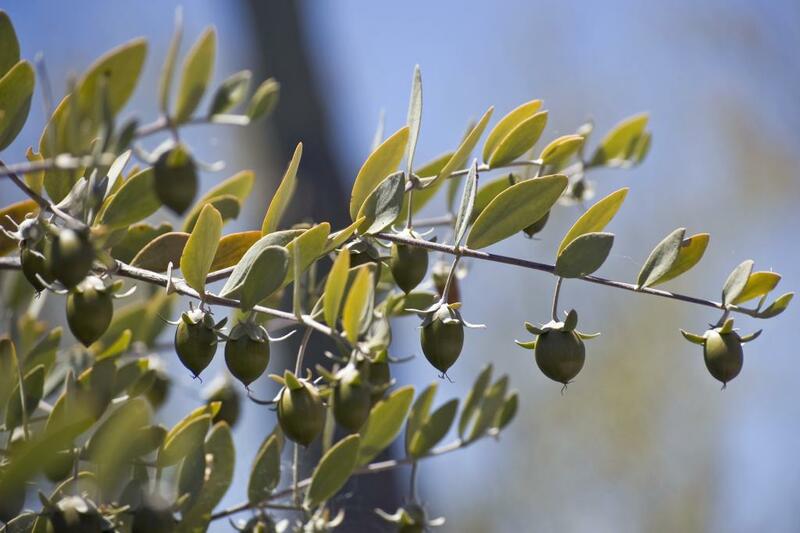 Jojoba is easily available and nanoparticles used (iron and aluminum) are synthesized from waste byproducts of oil extraction process from jojoba seeds. After synthesis, nanoparticles were soaked onto a foam material—polyurethane foam—wherein the nanoparticles get stuck to the surface of the foam. Infusion pouches or bags were then made from the nanoparticle-coated foam sheet. The nanoparticles on the pouches attract fluoride in the water and they too get stuck to the surface of the pouch. This process is commonly used water purification method called adsorption. Researchers - Dr Suphiya Khan and Sonu Kumari from Department of Bioscience and Biotechnology at Banasthali Vidyapith in Rajasthan- say the method is both cost-effective and green. The estimated cost of each pouch is about Rs 3. All that one will need to do is dip the special pouch in water and it will remove fluoride from water. They have also tested the same method with infusion bags filled with tea as tea is known to accumulate a lot of fluoride. Results of the fluoride analysis published in journal Scientific Reports show that after 80 minutes no more fluoride was collected as all the empty spaces on the surface were used up. When tested with pouches filled with tea, it was found that large amounts of fluoride got collected in black, green and jasmine tea samples tested, but black tea accumulated the highest amount.